Here we are. Another month gone by in a blink of the eye. Goodness gracious me! We are almost half way through the year already! As the nights are getting cooler and the days are getting shorter, all I can think about is what to cook that will warm me up! The answer? Soup, soup and soup!!! 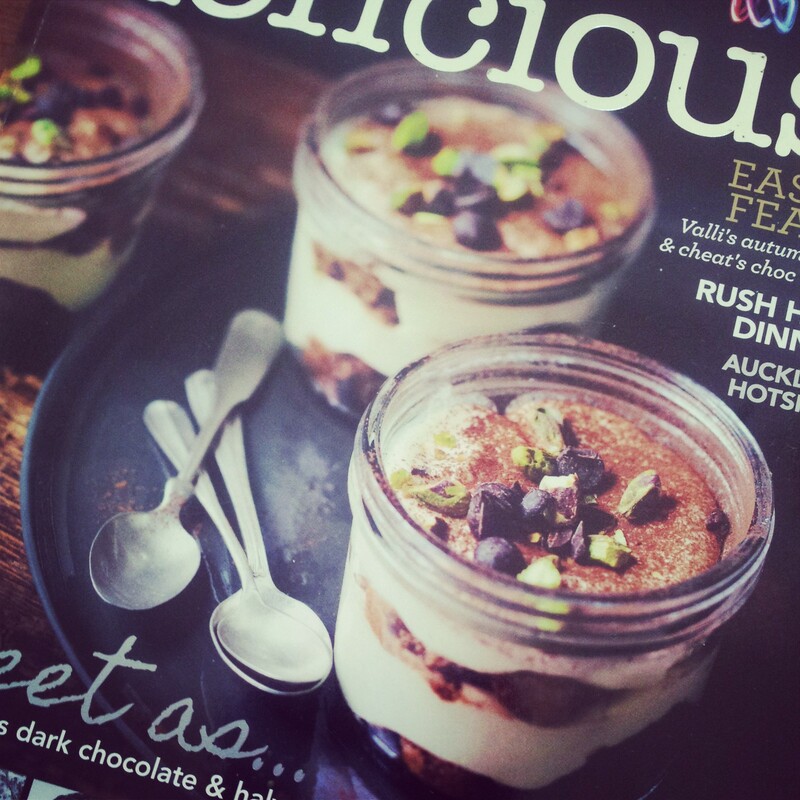 Fortunately, thanks to the June issue’s of ABC delicious. Magazine, there has been no shortage of fabulous soup recipes. 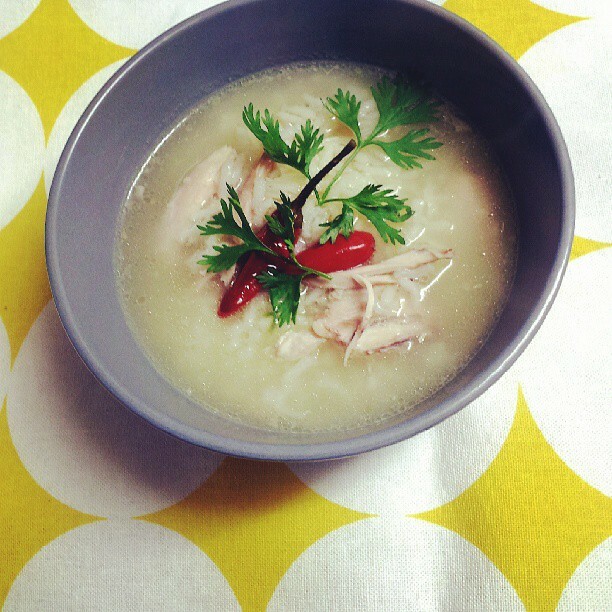 Having made at least six different soup’s this month (much to the disgust of B4), I can honestly say that THE BEST one was the Vietnamese chicken, lemongrass & rice soup from the June cook-a-long. So much so that I actually made it twice in one week! I just love the combination of spring onion, ginger, lemongrass and chilli. In fact, I often have to hold myself back from cooking Asian food every night of the week. I seem to be drawn to those flavours. Need I list any more? Thank you so much to those that did actually participate in the cook-a-long this month. I really hope that you and your family enjoyed the recipes as much as we did. Just a reminder that cook-a-long will now take place on the third Wednesday of the month. The July cook-a-long will take place on Wednesday 17 July. The Facebook event is now open. Don’t forget to head over and join in and invite your friends! 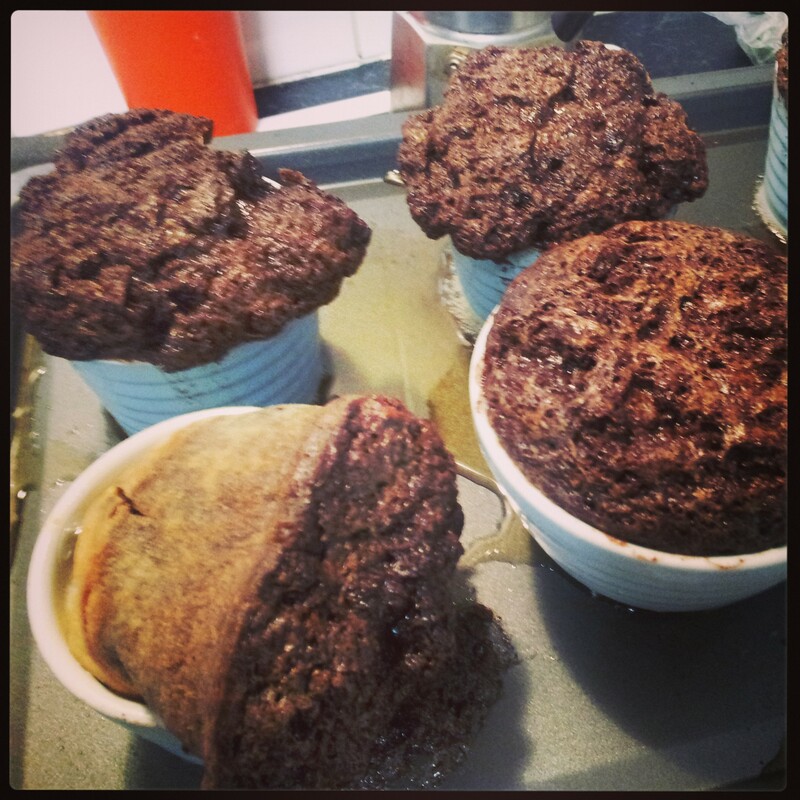 Stay tuned: Next month we have a fab new recipe to cook and a GIVEAWAY! Yay! Oh me, oh my. Thank goodness April is over. What a month. The other thing that I was overwhelmed by was my need to cook every single cover recipe. What was I thinking when I set that as a ground rule? This month I was good – I didn’t leave them all to the last two days. But I was totally overwhelmed by all the chocolate. Don’t get me wrong, I LOVE chocolate as much as the next person. But out of the twelve April cover recipes to cook, nine were sweets and eight of those included chocolate (the other one was caramel). Blah! Here’s a little secret. I’ve taken to halving the dessert recipes. Why? Because the cover recipes are often so decadent (cream, chocolate, sugar etc) and I am very conscious of only consuming these types of things in small quantities. Otherwise my hips and my health can’t handle it! They also often have a very short shelf life and as a family, we just can’t get through them quick enough, even after sharing the leftovers with our extended family. Pretty much every night B4 asks me “what’s for dinner?” His usual response is either tears, or hysteria, or running screaming from the room, or a combination of the three. It turns out he’s more of a meat and no veg kind of guy. Like that is ok… Yes, there are nights that he goes to bed hungry. After more than my fair share of these shenanigans this month, I took him aside one night and asked him what he really wanted to have for dinner. Turns out it was lasagna. A simple request, and one that I will fulfil sometime in May. Until then, he has to keep trying the new stuff I am making. The cook-a-long. How freaking awesome was it? I was completely overwhelmed by how much people really got into it. I can’t wait for May. Thank you so much, everyone! Meat-free Monday – I have really enjoyed going meat-free on a Monday and have found that it is a pleasure to create delicious, flavoursome, meat-free meals. My children may disagree! Huevos Rancheros (Apr 2008, p. 86) – definitely recipe of the month. Simple. Tasty. Delicious. A great Saturday morning brekky. Give it a go. Chocolate fondants – COVER (Apr 2008, p. 74) or as someone so politely commented on Facebook “steaming poo”. Thanks Paul. LOL. Something went terribly wrong. Not sure I care enough to try to correct it and make them again. Pear & ginger crisp (Apr 2002, p. 114). 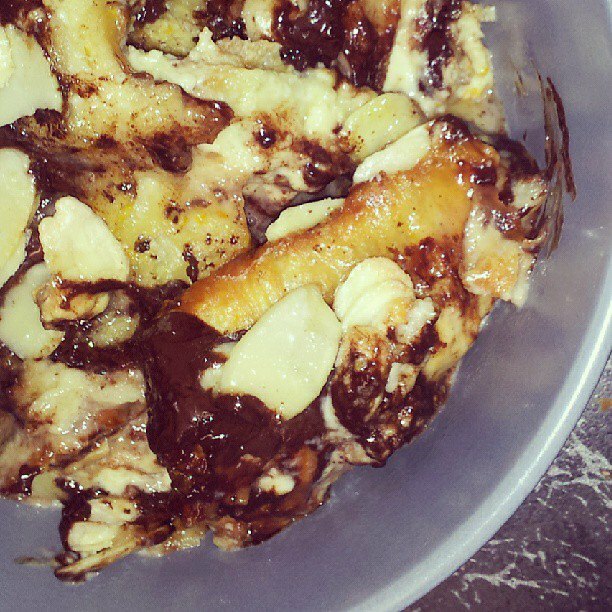 Another dessert disaster. Curdled, eggy, grossness. May we never speak of it again. 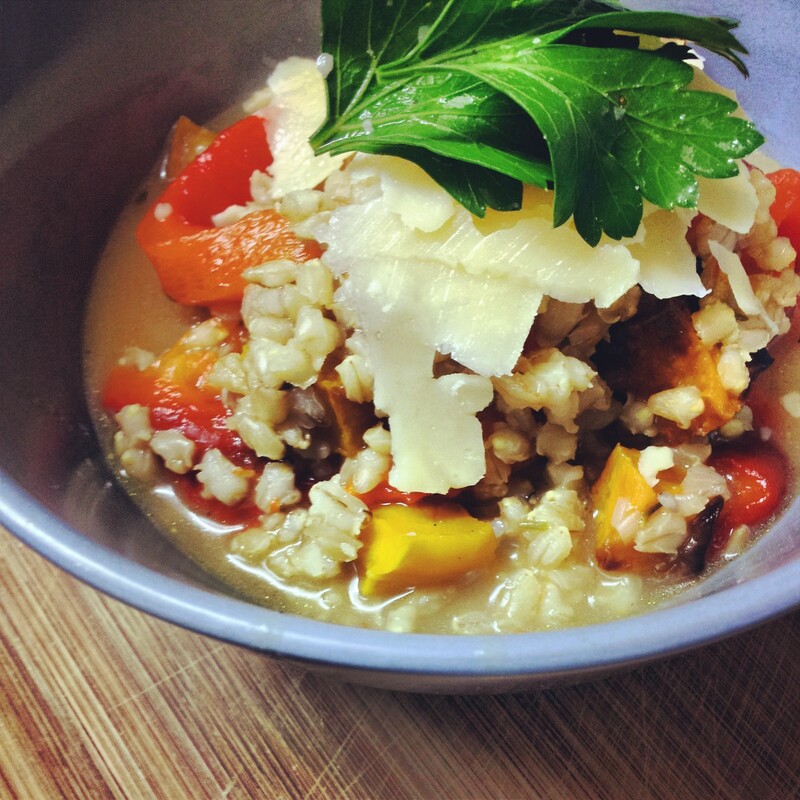 Pearl barley risotto with roast pumpkin, capsicum & rocket (Apr 2009, p. 126). There was a huge uproar in the house when I served this up for meat-free Monday. I think the concept is good, but the execution was not so good. 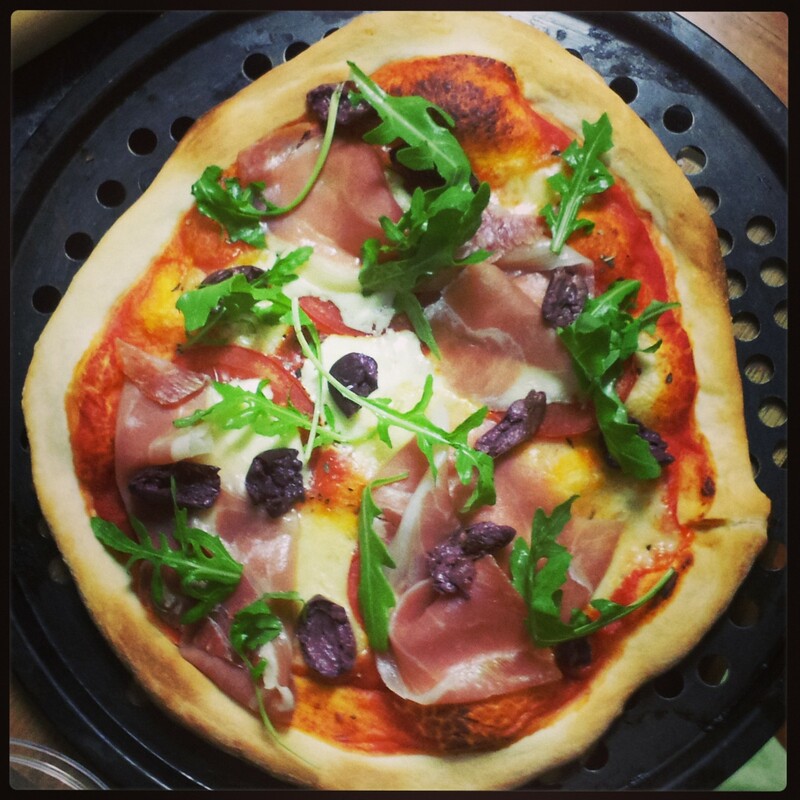 Mascarpone, prosciutto & rocket pizza – COVER (Apr 2007, p. 12). Homemade pizza. Yum! 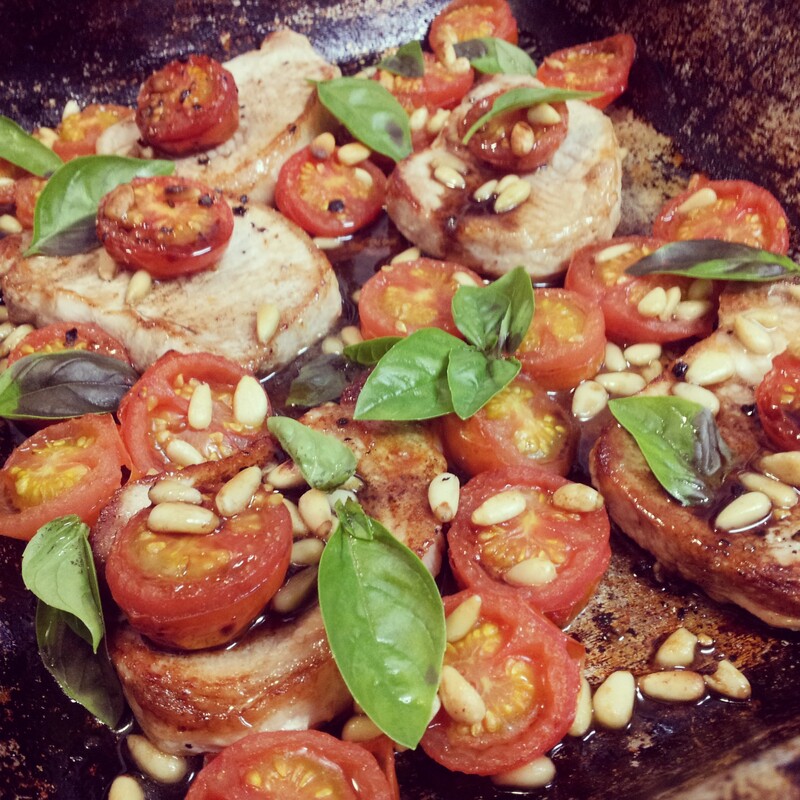 Roast pork steaks with tomatoes and pine nuts (Apr 2005, p. 139). A few simple ingredients packed with flavour. It was a winner. 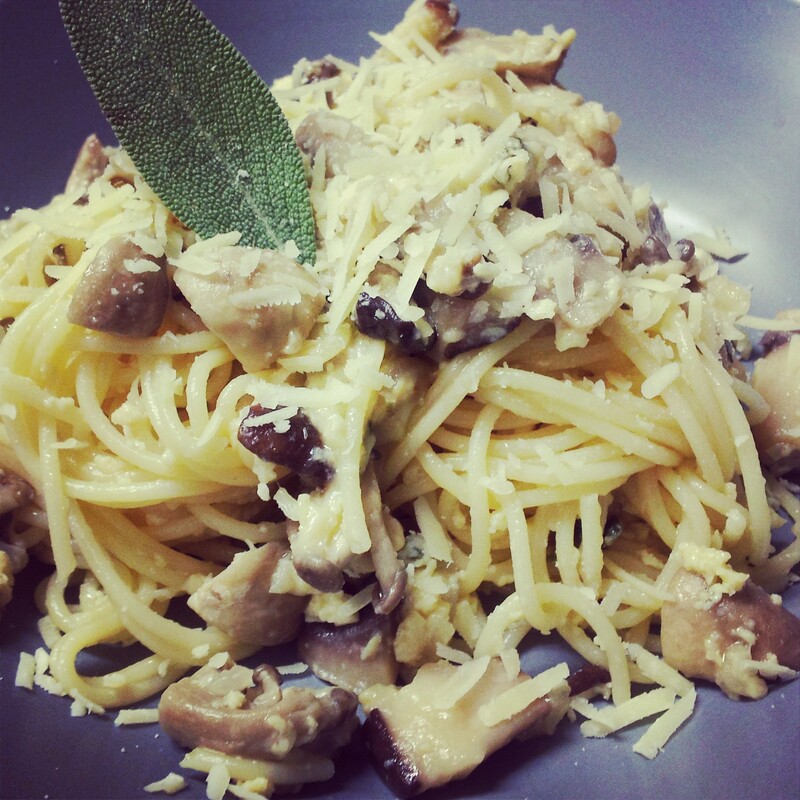 Mushroom carbonara (Apr 2012, p. 84). Another recipe with a few simple ingredients that translated to a delicious, easy, weeknight dinner. Did I mention that neither B2 nor B4 ever complain when offered dessert, or pizza? 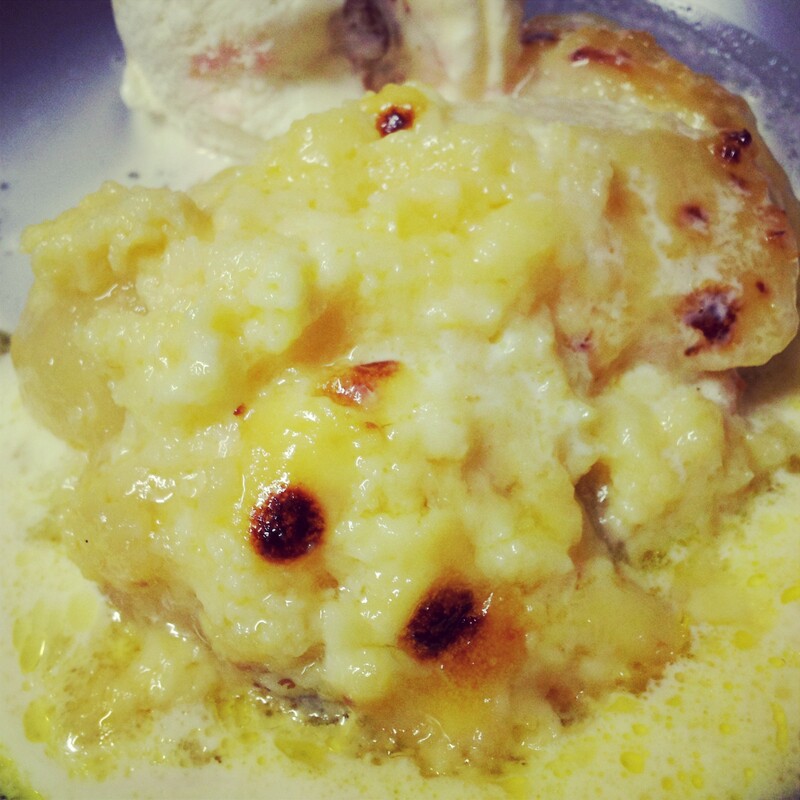 Here’s a link to the full list of what I cooked in April. Me: How was your dinner honey? Mr Picky Palette: I ate it didn’t I?